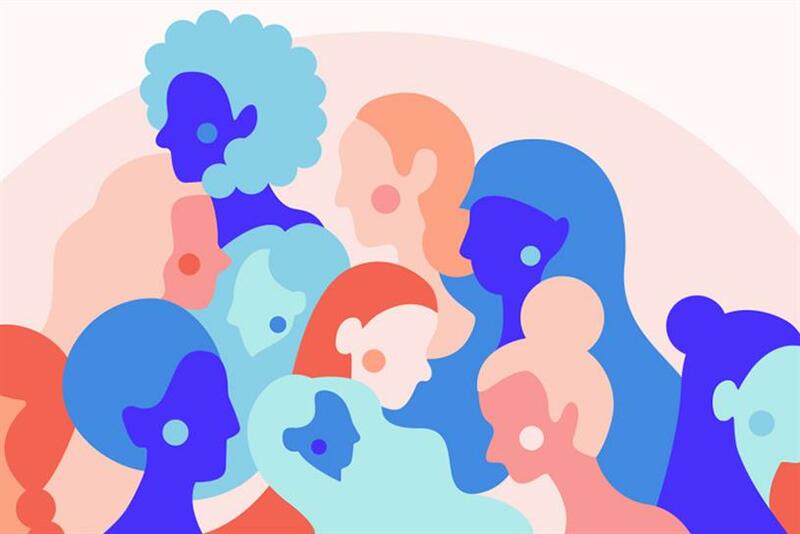 The majority-women agency wants to create a ripple effect in advertising. Liz Valentine, the CEO and co-founder of Portland agency Swift, has not had a normal career in advertising. At 28, she quit her job at a large firm to found her own company, which has over 12 years grown to 140 people, 70 percent of whom are women—an exceptional rarity in the industry. "I was able to create the work environment I wanted as a mom, a wife, a very ambitious professional woman," she says. "My dream company, my fantasy world." Now in the mentorship stage of her career, she’s been spending a lot of time talking to other women, presenting talks on the theme of "Empowering Femininity." Over and over they asked her: how did you get where you are? How did you handle this situation I’m in? "I realized how incredibly fortunate I was to have created my own path, and how many women could use a hand and some advice," she said. So, with the help of her agency and a handful of other Portland organizations, Valentine is giving 150 lucky women a hand and some advice, via a special mentorship program launching at Design Week Portland this April. "For the Women," as the track is called, pairs a small group of registrants (the free signups sold out a month in advance of the conference) with one of 25 women mentors for a six-month accountability-based program. "It’s about working on individual circumstances to make progress in a really tangible way," said Christina Melander, communications director at Swift. "We wanted to create something for women to work through their challenges and goals, with the framework of, you’ve gotta come back next month. We all do better with a deadline." Melander, who is the main organizer of FTW, had a more typical and frustrating career experience, which eventually led her to Swift. "I felt a way a lot of women do, that if I worked really hard and killed it, people would take notice," she said. But that’s not what happened—although some accolades and prestigious projects occasionally came her way, she often felt stymied in her promotion and raise progression. "There are forces and ingrained behaviors that make it more difficult for women to be propelled along to the next level without really advocating for yourself," she said. Last year, she learned of an organization called Ladies Get Paid, which works to close the gender wage gap, and founded its inaugural Portland chapter in April. When it came time for Swift to plan their participation in Design Week Portland, Melander wanted to go big. She began contacting local organizations with explicitly female-driven missions, like Women Who Code, and agencies with internal diversity initiatives, like Wieden + Kennedy, asking if they could offer a mentor for FTW. "The response was overwhelming," she said. "People were on board." In total, 20 outside groups across many disciplines signed up, including adidas, Portland Monthly, Vacasa and the Women’s Center for Leadership. The initial session at Design Week Portland is just the beginning. Over a six-month period, the accountability groups will continually check in with each other and with mentors about both specific issues and broader skills to increase their workplace standing. "That’s what the coaching is around, making sure your boss and your peers understand the unique value you bring to your job," said Valentine. Much of the program’s focus is gleaned from the conversations she’s had with over a hundred women in the past few years. "Women have to be more vocal, document it more, be more outspoken and make sure they’re getting credit every day for their work," she said. FTW’s goal isn’t just to help its first graduating class. Although there are not yet firm plans for a second edition next year, Valentine and Milander expect that the program’s reach will extend far beyond the specific women who participate this time around. "If you have a woman who’s an advocate for herself, she will set an example," Valentine says. "It’s not done in 6 months—for us it’s a lifelong mission."